If more people knew the answer to this question, Phil Isenberg thinks it could fundamentally change the way California responds to the water crisis—and maybe even put an end to the state’s decades-old water wars. The question is this: Who do you think pays for California’s water system—that is, the $30 billion spent every year on everything from aqueducts and dams to recycling projects and levees that safely deliver water to a population of 38 million and support one of the largest economies in the world? Think it’s the federal government, operators of the mammoth Central Valley Project, a vast network of dams and aqueducts built in the 1930s to provide irrigation to San Joaquin Valley farmers? 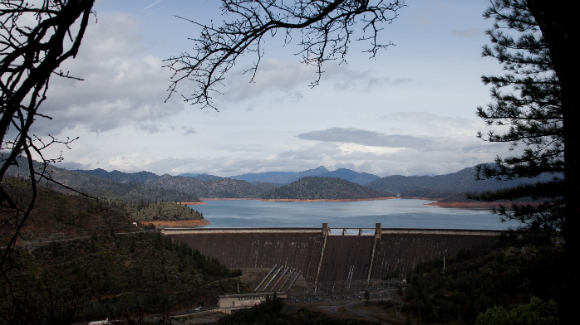 Nope: Federal spending is only about 4 percent of California’s water costs. What about state government, whose engineers operate the largest publicly built and operated water project in the world, providing drinking water to 23 million people? Wrong again: State spending makes up only about 12 percent of the state’s annual water investments. Who does that leave? Well, you. That is, California water users, who pay about 84 cents on every dollar spent to maintain the state’s sprawling water system—most of it through fees levied by water supply and wastewater providers that add up to nearly $26 billion each a year. Why does this matter? “Well for one thing because this is directly contrary to popular perception and most of the recommendations of interest groups who come to Sacramento—or at least the ones who talk to us,” says Isenberg, past chair and one of seven members of the Delta Stewardship Council, an independent state agency created in 2009 to help achieve California’s “coequal” goals of creating a more reliable water supply and a sustainable Delta ecosystem. This disconnect, Isenberg believes, is no small thing: “So much of politics is really about money—it’s about who pays what.” But what these numbers tell Isenberg is that California’s notoriously divisive water politics—with their decades-long squabbles between north and south, urban and rural—may actually be focused on the wrong solutions. Even as the drought has increased the urgency around this year’s water debate, the truth is—whether it is federal legislation or a state water bond aimed at water exports or building new dams and underground water storage—Isenberg believes lawmakers are spending most of their time arguing over policies that will make only tiny improvements on the margins of its enormous, mostly locally-funded system of water infrastructure. “Most of the water decisions about what to build and who pays are made locally in California—and grumpy ratepayers pay the majority of the cost,” says Isenberg, pointing out that only $1 billion of the $30 billion spent on the state's water infrastructure each year comes from, for example, bond funds. Missing from the conversation, he believes, are a set of lower-profile policy solutions aimed at strengthening California’s locally-funded infrastructure system—ideas that may be able to do much more to preserve the state’s long-term fiscal and environmental sustainability. There is an important lesson here for policymakers—one Isenberg believes could inform a set of water policies that can change the zero-sum nature of the debate. The Public Policy Institute of California featured a comprehensive list of such proposals in a March report. Many of these ideas have also been raised this year by the Economic Summit, which has outlined 11 recommendations for how the state could respond to the drought in an economically and environmentally sustainable way. Locally financed storage: Isenberg remains skeptical about the prospects of three major new dam proposals (combined pricetag: nearly $10 billion) currently vying for funding in this year’s water bond. This is largely because local interests—that is, the dams’ water users—have not yet demonstrated how they plan to share in the costs. “Instead, they’re waiting for the federal or state officials to offer to pay, which is not likely to happen,” says Isenberg. “Randy indicates we need to look at smaller projects where you can see the beneficiaries more clearly and where there’s a tradition of [local financing], and moving on those projects,” says Isenberg. “This is where the use of state bonds—in a process with open, competitive bids—could be successfully used to achieve more water storage." Changing Prop 218 to give locals more funding flexibility: While California’s infrastructure system may be funded locally, those same local governments face a range of constitutional restrictions on exactly what types of infrastructure they are allowed to invest in. Proposition 218, in particular, a measure approved by voters in 1996, restricts the ability of local authorities to raise fees to support popular, next-generation projects designed to capture stormwater and better manage groundwater, for example. Local flexibility must also have its limits: While the state has historically relied on local management—and financing—of water infrastructure, lawmakers this year have also been forced to confront the limitations of this approach. Case in point: groundwater, the invisible, underground source of water for almost half the state’s population in dry years—and one that has been overused for decades, even in wet years. With the right incentives in place, Isenberg believes, it doesn’t have to be this way. If the state can accept that infrastructure may be financed best when it’s financed locally—and then find ways to help locals make the right decisions to ensure long-term water sustainability—Isenberg is convinced California’s water challenges may not be so intractable, after all.